When the city of Kobane in Western Kurdistan/Rojava in Syria was attacked by Daesh/ISIS in November 2014 the world expected it to fall very quickly. The advance of Daesh across Iraq and Syria had been unstoppable. However the people of Kobane decided to resist to defend their city, their houses, schools and hospitals, their home. 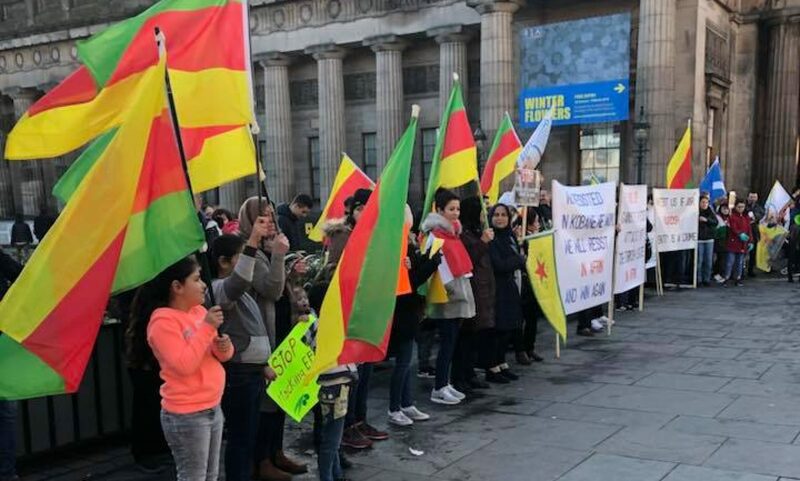 In February the siege of the city was lifted after a heroic battle where the Kurdish People’s Defence Units (YPG) and the Women’s Defence Units (YPJ), supported by US air strikes, were able to defeat Daesh. This was the beginning of turning the tide against Daesh and since then the Kurdish YPG and YPJ, with their allies have pushed Daesh out of towns and villages across northern Syria. The people of Kobane paid a high price for their victory. Many people died, and continue to die, in the battle against Daesh. The houses, schools and hospitals they fought to defend were mostly destroyed in the battle. Life in Kobane cannot return to normal until the final battle against Daesh is won. The battle includes the reconstruction of Kobane and the creation of democratic, secular and gender equal organisations to run the city. 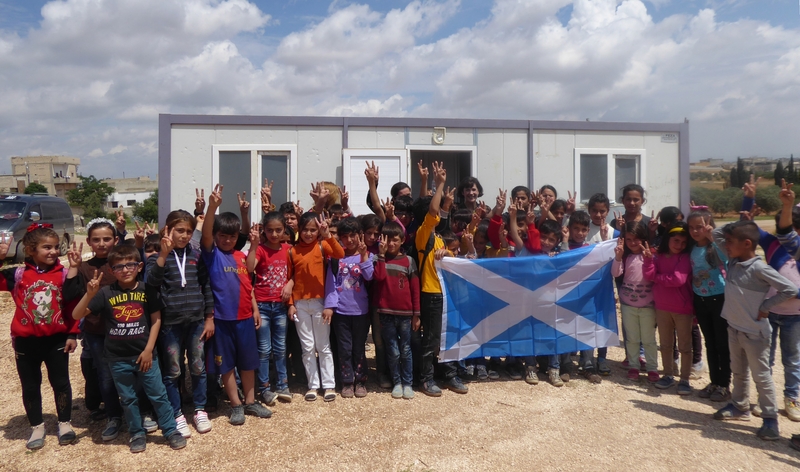 We are appealing therefore to the people of Scotland to help us raise enough money to build the Scotland School in Kobane. We are asking every teacher to contribute. Every school. Every parent who knows how important education is to a child’s future. We ask every trade union, church and civic organisation to help us to help the young people of Kobane. Please send donations to Scottish Solidarity with Kurdistan, c/o UNISON South Lanarkshire, 21 Beckford Street, Hamilton, ML3 0BT. Please write ‘Scotland School’ on the back of any cheques.